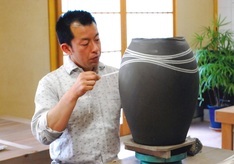 I use Kotokoname clay. 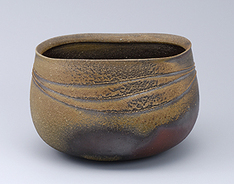 I collect the raw clay from all over the Chita Peninsula and refine it myself, and use an anagama (cave) firewood kiln for firing and reproduce Kotokoname ware; this is my life’s work. 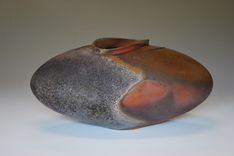 I mainly create large-size ceramics such as bowls, dishes, and pots. 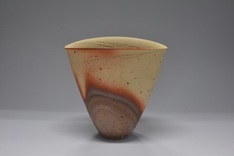 I often use natural glazes. 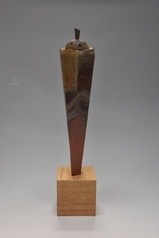 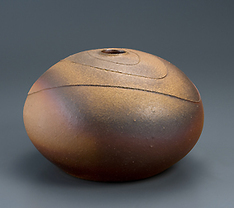 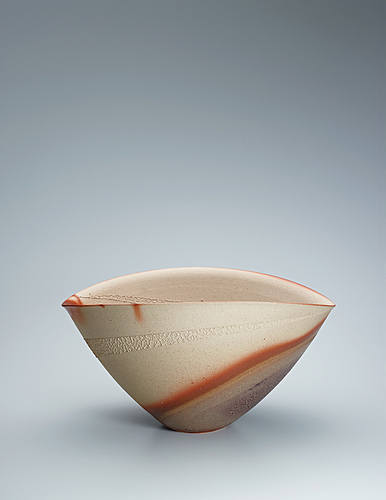 The majority of my works are yakishime (ceramics fired at high temperatures and without any applied glaze). 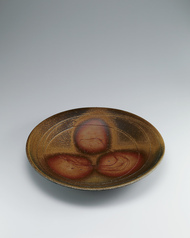 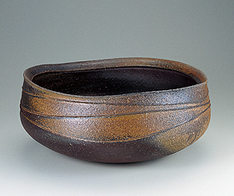 Bizen flat bowl with raised line design.